Hip replacement surgery is the most common orthopedic surgery performed in the U.S., with more than 400,000 people receiving artificial hips each year. Hip replacement surgery is the most common orthopedic surgery performed in the United States. In hip replacement surgery, the patient’s natural hip joint is replaced with an artificial joint. Artificial hip joints are most commonly implanted to relieve pain caused by osteoarthritis or rheumatoid arthritis or to restore mobility after a hip fracture. It is estimated that more than 400,000 people receive artificial hips each year in the United States. Hip implants typically consist of three components. 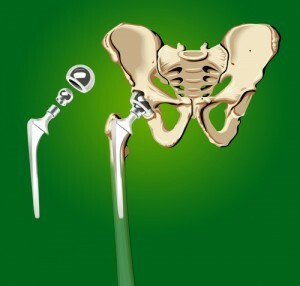 The stem component is fitted into the patient’s femur (thigh bone), the femoral ball or head is attached to the stem and the acetabular cup is attached to the patient’s pelvis. The components are generally made of metal, polyethylene plastic, or ceramic. The articular surface is the area where the femoral head and the acetabular cup fit together to form the ball-and-socket joint. Some implants are made with a polyethylene liner in the acetabular cup. However, many implants are made with metal-on-metal (MOM) articular surfaces. Most of the problems from hip implants have been linked to MOM designs. A hip revision is a corrective surgery which is performed when an artificial hip either malfunctions or causes complications. The complications caused by hip implants include Adverse Local Tissue Reactions (ALTR)(damage to surrounding tissues), metallosis, chronic pain and metal toxicity. In June of 2012 the FDA held a meeting of a panel of scientists and physicians regarding the safety of MOM implants. At the meeting, the FDA examined failure rates and mechanisms of failure of MOM implants. The FDA panel also discussed complications suffered by patients with MOM hip implants. These problems include damage to surrounding soft tissues, pseudotumors (an encapsulated collection of fluid), and metal toxicity. As a result of the June 2012 meeting, the FDA issued a proposed regulation in January 2013 which would require pre-market clinical testing of MOM hip implant products sold in the United States. The proposed regulation is currently pending. Reports metal-on-metal (MOM) hip implant complications have raised concerns about the safety of such devices. Some have urged the FDA to prohibit future sales of MOM hip implants. Artificial hips are made of metal, plastic, and ceramic components. Recent reports of complications from metal-on-metal (MOM) hip implants have raised concerns about the safety of such devices. Some advocacy groups have urged that FDA to prohibit all future sales of MOM hip implants in the United States. Hip implants have been used for more than 50 years. The early implants were made with metal components. In the 1970’s manufacturers began using plastic liners in the acetabular cup (socket) portion of the implants. In the 1990’s, the development of new engineering processes led manufacturers to redesign hip implants with larger femoral heads and to use cobalt-chromium alloys for the surfaces of both the ball and socket components. It was believed that the increased head size and better construction of the components would lead to lower surface wear and therefore less wear debris in the patient’s body. These new MOM designs were cleared for sale in the U.S. in the early 2000’s. Because of FDA regulations, most of the MOM devices sold in the U.S. were not required to undergo premarket safety testing. By 2008 nearly 40% of the hip implants used in the U.S. were MOM devices. In 2009 the regulatory agency governing medical devices in Australia reported a higher than expected failure rate for DePuy ASR MOM implants. In December 2009 DePuy stopped selling the ASR devices in Australia. 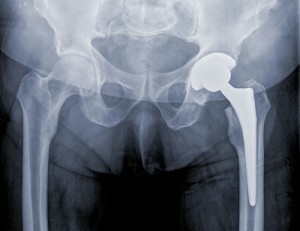 In August 2010 DePuy issued a worldwide recall of its ASR hip implants. In the recall notice, DePuy noted that the failure rate of the ASR implants was approximately 12%. More recent data indicates that the failure rate of the ASR implant may be greater than 40%. In May 2012 Health Canada (the agency that regulates medical devices sold in Canada) announced a recall of the Stryker Rejuvenate implant. The recall notice indicated that Stryker had reported that some patients with Rejuvenate models required revision surgery caused by excessive wear at the junction of the neck and stem portion of the implant. In July 2012 Stryker announced the recall of its Rejuvenate and ABG II hip implants. In April 2010 the agency which regulates medical devices in the United Kingdom issued a Medical Device Alert regarding MOM hip implants. In June 2012 the agency updated its 2010 Medical Device Alert. The 2012 update recommends annual checkups for all patients with MOM implants and more frequent checkups for patients with ongoing symptoms. The alert also recommends that all patients with MOM implants receive metal ion testing and that patients with elevated metal levels (7 ppb) receive repeat metal level testing and imaging studies to assess tissue damage. In May 2011, the FDA issued an order requiring all manufacturers of MOM devices to conduct post-marketing studies regarding failures of the devices and complications suffered by patients with the devices. In June 2012 the FDA conducted a two-day meeting where scientists and physicians discussed the problems associated with MOM implants. Based on the June 2012 meeting, the FDA issued a proposed regulation in January 2013 which, if adopted, would require device manufacturers to do pre-market safety testing in order to gain approval of any new MOM implant devices. The proposed regulation is currently pending. The Agency also issued a Safety Communication regarding the complications seen in MOM implant patients along with treatment recommendations. In 2005, DePuy Orthopaedics, Inc., a division of Johnson & Johnson, began marketing the DePuy ASR XL Acetabular Hip Replacement System. While the implants were expected to last for 15 – 20 years, by 2008, the FDA had received more than 300 reports of problems with the hip implant, most involving premature failure that required revision surgery. On March 6, 2010, DePuy warned doctors that a recent report from Australia indicated that the ASR had a higher-than-expected failure rate. On August 26, 2010, DePuy issued a worldwide recall for the ASR implants after additional studies showed that approximately 12% of patients (one in eight) who had received the DePuy ASR total hip replacement needed to have a second surgery within five years. The DePuy ASR hip implant is a metal-on-metal device made of chromium and cobalt. The implant consists of a cup that is implanted into the pelvis and a ball joint that is implanted into the femur (thigh bone). Numerous complications have been associated with ASR implants including component loosening, component misalignment, infection, fracture of the bone, nerve damage, tissue damage, and increased metal ions in the blood (metallosis). Many of the complications linked to the ASR implant are believed to be caused by excessive loading on the metal components which causes metal shavings to breakdown into the patient’s body. These metal shavings can cause cobalt poisoning, which can lead to tissue breakdown, bone loss and non-cancerous tumors. Additionally, cobalt poisoning can cause tinnitus, dizziness, optic nerve atrophy and blindness. While Stryker hip implants do not have metal-on-metal ball and socket components, the corrosion of the components can lead to the same problems caused by MOM implants. In 2008, Stryker Orthopedics began marketing its Rejuvenate hip implants. The Rejuvenate hip implant is designed with a modular stem, which means that the stem is made with an extra component called a “neck” that allows the surgeon to adjust the length of the stem to fit the patient’s body. In May 2012, Health Canada, the agency which regulates medical devices in Canada, issued a recall for all Stryker Rejuvenate hip implants sold in Canada. The Canadian recall notice indicated that micromotion at the junction of the stem and neck of the Rejuvenate hip implant could cause excessive corrosion of the stem and neck components. In June 2012 Stryker issued a worldwide recall of its Rejuvenate implants. The Stryker recall notice indicated that corrosion at the modular neck junction could cause Adverse Local Tissue Reactions (ALTR). While the Stryker Rejuvenate hip implant does not have metal-on-metal (MOM) surfaces of the ball and socket components, the corrosion of the modular neck components can lead to the same type of problems caused by MOM implants. These problems include tissue damage, pseudotumors, metallosis and metal toxicity. Unlike other MOM devices, the revision surgery for the Rejuvenate implant requires removal of the femoral stem component which is a much more invasive surgery and requires several months of rehabilitation. There have been several hundred lawsuits filed against Stryker regarding its Rejuvenate implants. Many of the lawsuits have been consolidated in the New Jersey state court. Additional cases have been consolidated in the federal court.